Getting cool underwater pictures when you’re on vacation somewhere tropical is pretty much a must, but what if you’re too scared to slip into that diving suit and paddle off into the deep blue? 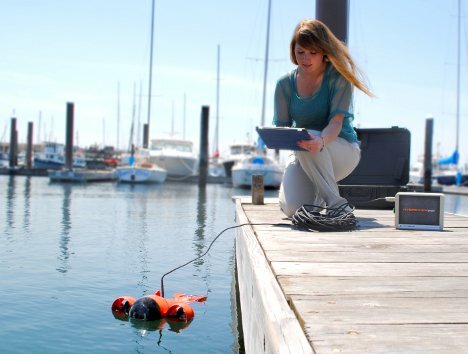 The HydroView is an iPad-controlled underwater vehicle that does all of the underwater work for you. 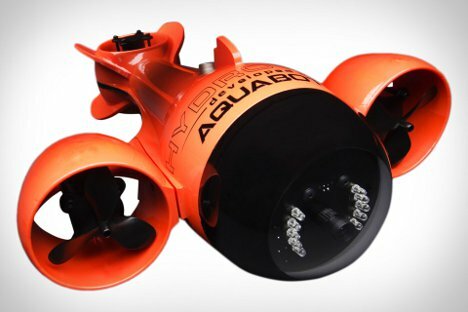 Looking like a cute little orange submarine, the HydroView shoots high-quality video and stills, then sends them back to the iPad from which you are controlling the vehicle. The vehicle includes LED headlights and on-board instruments to measure water conditions. 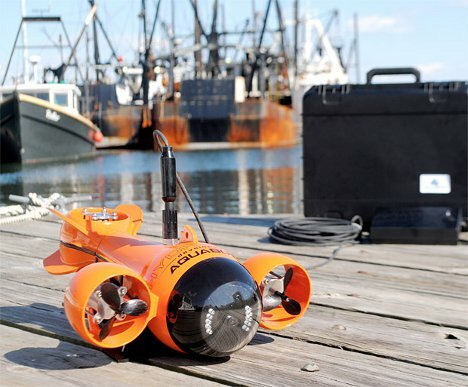 When you’re in hot pursuit of a puffer fish or an interesting cephalopod, the HydroView moves at speeds of up to five knots forward or one knot in reverse. At $4,000 (not including the iPad you need to run it), it might be out of reach for casual photographers but it’s affordable when compared to a lot of other rugged underwater photography options. See more in Camera & Video or under Gadgets. September, 2012.